The Drugs in Development Database provides information about ALS drugs in development by biotechnology and pharmaceutical companies. It covers drugs in preclinical testing, as well as those that are currently in clinical development or were in the past. In addition, it includes information about select drugs in development for other neurodegenerative or neuromuscular diseases with a mechanistic link to ALS. We hope this will provide a valuable source of information, and a resource for researchers in academia and industry to identify opportunities to collaborate on translational research in ALS. We will continue to update the database with additional information and references, and will be implementing an improved search function soon! Please let us know of companies or drugs that that we should add to the list at [email protected]. Click a column header to sort alphabetically by that column. Click a drug name to see details. Status for ALS in the U.S. Mechanism: 123C4 may help facilitate the repair of damaged motor neuronal axons by blocking EphA4-mediated signaling. The drug, which acts as an EphA4 agonist, may remove EphA4 from motor neuron surfaces by receptor-mediated endocytosis. Commercial Information: The drug is licensed from the University of California Riverside. It is based on a study from the laboratory of Maurizio Pellecchia. R&D Status: The drug is now being optimized and is at the preclinical stage. Potent and Selective EphA4 Agonists for the Treatment of ALS. Wu, B. et al. Cell Chemical Biology. Published online February 9, 2017. Mechanism: 3K3A-APC is a recombinant Activated Protein C (APC), a protease with anticoagulant and cytoprotective properties for the aging and damaged brain. The CNS-penetrant drug candidate is being developed for stroke and other neurodegenerative disorders. Preclinical studies in SOD1 ALS mouse models have shown that 3K3-APC treatment increases lifespan by 13% and disease duration by 28% compared to saline treated control. The drug is no longer being actively developed for ALS. Commercial Information: The company was founded based on discoveries from the laboratory of Prof. Berislav Zlokovic, MD, PhD, of the Keck School of Medicine at University of Southern California, Los Angeles, CA. The last company update was in 2014. R&D Status: A Phase II study evaluated safety, tolerability and activity of ZZ Biotech’s 3K3A-APC when given after tissue plasminogen activator, or tPA, in patients who have experienced moderately severe ischemic stroke. The study was completed in 2017. There is currently no disclosed program ongoing in ALS. ZZ Biotech Announces Phase 2 Trial with 3K3A-APC in Stroke; Funds Will Be Provided by NIH and Broadview Ventures. B3C Newswire, 22 Apr 2014. Accessed 11 Mar 2016 from http://www.b3cnewswire.com/201404221062/zz-biotech-announces-phase-2-trial-with-3k3a-apc-in-stroke-funds-will-be-provided-by-nih-and-broadview-ventures.html. Blood-spinal cord barrier disruption contributes to early motor-neuron degeneration in ALS-model mice. Winkler, EA et al. Proc Natl Acad Sci U S A. 2014 Mar 18;111(11):E1035-42. Activated protein C therapy slows ALS-like disease in mice by transcriptionally inhibiting SOD1 in motor neurons and microglia cells. Zhong, Z et al. J Clin Invest. 2009 Nov 2; 119(11): 3437–3449. Mechanism: ACE-031 is a monoclonal antibody that binds and inhibits myostatin. It acts as a decoy receptor for myostatin and other proteins that limit muscle growth. Myostatin blockage has been considered as a therapeutic approach for ALS by improving muscle size and strength. Commercial Information: The programs was conducted in collaboration with Acceleron Pharma and was terminated in 2013. R&D Status: In May 2013 the Shire and Acceleron Pharma terminated a Phase II trial of ACE-031 in subject with Duchenne muscular dystrophy based on preliminary safety data. Myostatin inhibition slows muscle atrophy in rodent models of amyotrophic lateral sclerosis. Holzbaur, EL et al. Neurobiol Dis. 2006 Sep;23(3):697-707. Study of ACE-031 in Subjects With Duchenne Muscular Dystrophy. ClinicalTrials.gov, 31 Jan 2013. Accessed 11 Mar 2016 from https://clinicaltrials.gov/ct2/show/NCT01099761. UPDATE: ACE-031 clinical trials in Duchenne MD Wahl, M. Quest Magazine Online, 2 May 2013. Accessed 9 Mar 2016 from http://quest.mda.org/news/update-ace-031-clinical-trials-duchenne-md. Conditions: ALS, Alzheimer's disease, Parkinson's disease. Mechanism: AMX0035 a proprietary combination of two drugs, TUDCA and sodium phenylbutyrate, that acts by reducing cell death and neuronal inflammation in response to oxidative insult. Commercial Information: AMX0035 is a proprietary combination of two drugs that contains tauroursodeoxycholic acid and sodium phenylbutyrate. R&D Status: The phase II clinical trial launched in June 2017. Tauroursodeoxycholic acid in the treatment of patients with amyotrophic lateral sclerosis. Elia, AE et al. Eur J Neurol. 2016 Jan;23(1):45-52. Phase 2 study of sodium phenylbutyrate in ALS. Cudkowicz, ME et al. Amyotroph Lateral Scler. 2009 Apr;10(2):99-106. AMX0035 in Patients With Amyotrophic Lateral Sclerosis (ALS) (CENTAUR) Clinicaltrials.gov, June 19, 2017. Mechanism: The blocking antibody to CD40L is designed to modulate the immune response associated with disease progression in ALS. Commercial Information: Anelixis Therapeutics is a virtual biotechnology company that is the for-profit subsidiary of ALSTDI. Anelixis has in-licensed the rights to develop the CD40L antibody as a novel candidate therapy for ALS. AT-1501: An Anti CD40L Antibody Anelixis Therapeutics, 2018. Accessed 4 Dec 2018 from the Anelixis Therapeutics website. Company: Anavex Life Sciences Corp. Conditions: ALS, Alzheimer's disease, Parkinson's disease and other neurodevelopmental disorders. Mechanism: ANAVEX 2-73, is a sigma-1 and muscarinic receptor agonist. The sigma-1 receptors are chaperone proteins localized to the endoplasmic reticulum (ER) membrane associated with mitochondria (MAMs), and function by helping protect against ER and oxidative stress. The sigma-1 receptors have been implicated in several neurodegenerative diseases, including ALS. R&D Status: Phase IIa clinical trials, alone and in combination with donepezil (Anavex-Plus), for Alzheimer's disease were completed in November 2016. It is in preclinical development for ALS. Anavex Encouraged By Scientific Data Confirming Sigma-1 Receptor Agonist Extends Survival in ALS (Lou Gehrig's Disease). GlobeNewswire, 10 Mar 2014. Accessed 3 Mar 2016 from https://globenewswire.com/news-release/2014/03/10/616981/10071871/en/Anavex-Encouraged-By-Scientific-Data-Confirming-Sigma-1-Receptor-Agonist-Extends-Survival-in-ALS-Lou-Gehrig-s-Disease.html. Role of the Sigma-1 receptor in Amyotrophic Lateral Sclerosis (ALS) Mavlyutov, TA et al. J Pharmacol Sci. 2015 Jan;127(1):10-6. Mechanism: Arimoclomol is a small molecule that increases expression of 70-kDa heat shock proteins (Hsp70) and Hsp90s, chaperone proteins that play a role in folding of newly translated proteins and refolding or clearance of misfolded proteins. Commercial Information: In May 2011, Orphazyme acquired CytRx's molecular chaperone technology including the drug candidate arimoclomol, which is in clinical development for ALS. R&D Status: A larger phase III clinical trial launched in August 2018. The study is ongoing. Randomized, double-blind, placebo-controlled trial of arimoclomol in rapidly progressive SOD1 ALS. Benatar, M et al. Neurology. 2018 Jan 24. pii: 10.1212/WNL.0000000000004960. Arimoclomol at dosages up to 300 mg/day is well tolerated and safe in amyotrophic lateral sclerosis. Cudkowicz, ME et al. Muscle Nerve. 2008 Jul;38(1):837-44. Late stage treatment with arimoclomol delays disease progression and prevents protein aggregation in the SOD1 mouse model of ALS. Kalmar, B et al. J Neurochem. 2008 Oct;107(2):339-50. Treatment with arimoclomol, a coinducer of heat shock proteins, delays disease progression in ALS mice. Kieran, D et al. Nat Med. 2004 Apr;10(4):402-5. Arimoclomol in Amyotrophic Lateral Sclerosis. ClinicalTrials.gov, 9 Apr 2018. Accessed 9 Aug 2018 from https://www.clinicaltrials.gov/ct2/show/NCT03491462. Mechanism: AstroRx is an experimental cell-based therapy. The approach involves the delivery of human embryonic stem cell-derived astrocyte precursor cells by intrathecal transplantation. The introduction of functional astrocyte precursor cells has the potential to regulate glutamatergic signaling, which is impaired in ALS patients, and thereby reduce neurotoxicity. Transplantation of astrocytes derived from stem cells into mutant SOD1 rats increases survival. Commercial Information: In December 2016, Kadimastem announced that they will partner with Corestem to further evaluate their stem cell strategy, AstroRx, in the Asia-Pacific region including South Korea. Kadimastem was founded based on patented technologies developing in the laboratory of Prof. Michel Revel (developer of the multiple sclerosis blockbuster drug, Rebif, and Kadimastem's Chief scientific Officer). R&D Status: A phase I/IIA clinical trial launched in March 2018. The clinical study will be conducted at Hadassah Medical Center in Jerusalem, Israel under the supervision of the Israeli Ministry of Health, and according to the outline coordinated with the FDA. Kadimastem. Regenerative Medicine - Neurodegenerative Diseases. Kadimastem, n.d. Accessed 9 Mar 2016 from http://www.kadimastem.com/regenerative-medicine/18/neurodegenerative-diseases. Kadimastem Reached Agreements with the FDA Regarding the Framework of the Clinical Trials in Humans for the Treatment of ALS. BusinessWire, 10 Dec 2015. Accessed 9 Mar 2016 from http://www.businesswire.com/news/home/20151210005420/en/Kadimastem-Reached-Agreements-FDA-Framework-Clinical-Trials. Mechanism: BHV-0223 is a new form of riluzole that is easier to swallow. The drug, like riluzole, aims to protect motor neurons from further damage by reducing glutamate release from axon terminals. R&D Status: A bioequivalence study launched in November 2017. Mechanism: BHV-4157 is a glutamate modulator that aims to protect neurons by reducing glutamate excitotoxicity. Commercial Information: Biohaven acquired the worldwide intellectual property rights from ALS Biopharma to a portfolio of over 300 prodrugs hat are glutamate modulators including BHV-4157. ALS Biopharma is affiliated with the Pennsylvania Drug Discovery Institute (www.padrugdiscovery.org) at the Pennsylvania Biotechnology Center of Bucks County in Doylestown, PA (www.pabiotechbc.org). R&D Status: BHV-4157 is currently being evaluated at phase II/III as a potential treatment for Spinocerebellar Ataxia. Trial in Adult Subjects With Spinocerebellar Ataxia Clinical trials.gov, 15 June 2017. Mechanism: IONIS-SOD1Rx is a generation 2.0 antisense drug specifically designed to inhibit production of mutant superoxide dismutase (SOD1). SOD1 mutations account for approximately 20% of familial ALS cases. Commercial Information: This program is a collaboration between Biogen and IONIS Pharmaceuticals (formerly ISIS). R&D Status: A Phase I clinical trial is recruiting participants as of Feb 2016. The clinical trial aims to determine the safety, tolerability and pharmacokinetics of SOD1RX in people with ALS. The study also aims to evaluate CSF SOD1 levels as a marker of target engagement to facilitate the development of SOD1-reducing therapies (Winer et al., 2013). Study completion is expected in July 2018. Single and Multiple Dose Study of BIIB067 (Isis-SOD1Rx) in Adults With Amyotrophic Lateral Sclerosis (ALS). ClinicalTrials.gov, 1 Feb 2016. Accessed 9 Mar 2016 from https://clinicaltrials.gov/ct2/show/NCT02623699. SOD1 in cerebral spinal fluid as a pharmacodynamic marker for antisense oligonucleotide therapy. Winer, L. et al. JAMA Neurol. 2013 Feb;70(2):201-7. An antisense oligonucleotide against SOD1 delivered intrathecally for patients with SOD1 familial amyotrophic lateral sclerosis: a phase 1, randomised, first-in-man study. Miller, TM et al. Lancet Neurol. 2013 May;12(5):435-42. Mechanism: Recombinant biglycan (TVN-102) aims to stabilize neuromuscular junctions by increasing MuSK activation. The approach is based on previous studies which found that biglycan stabilizes these synapses in part, by regulating the localization and levels of MuSK at motor nerve terminals (Amenta et al., 2012). Commercial Information: Tivorsan's lead candidate, TVN-102, is based on preclinical studies from Brown University's Justin Fallon, Ph.D., scientific founder of Tivorsan which found that biglycan stabilizes neuromuscular junctions. R&D Status: Preclinical studies in a SOD1 mouse model of ALS is planned. A phase I clinical trial of TVN-102 in DMD is expected to launch in 2017. Biglycan is an extracellular MuSK binding protein important for synapse stability. Amenta, AR et al. J Neurosci. 2012 Feb 15;32(7):2324-34. Tivorsan Pharmaceuticals Closes Private Placement. Business Wire, 5 Feb 2016. Accessed 11 Mar 2016 from http://www.businesswire.com/news/home/20160205005030/en/Tivorsan-Pharmaceuticals-Closes-Private-Placement. Mechanism: CAT-4001, an activator of Nrf2 and an inhibitor of NF-κB, aims to protect neurons by reducing oxidative stress and inflammation. The drug candidate, initially developed for Friedrich's ataxia, is a CNS-penetrant linked conjugate of monomethyl fumarate and docosahexaenoic acid which can be enzymatically cleaved upon cellular uptake, enabling release of both small molecules simultaneously. Studies in cellular and animal models have shown that the conjugate is more effective than either compound alone. R&D Status: Preclinical studies and IND-enabling studies are ongoing for ALS and Friedreich's ataxia. CAT-4001 improves mitochondrial function in a Friedreich’s ataxia model Reilly, JF et al., 2017 International Ataxia Research Conference. Catabasis. Pipeline - CAT-4001. Catabasis, 2016. Accessed 9 Mar 2016 from http://www.catabasis.com/scitech-pipeline.php. Mechanism: Enhancing trophic support from neurotrophic factors is beneficial in ALS mouse models. In preliminary unpublished studies, a single dose of one of these substances, cerebral dopamine neurotrophic factor (CDNF), improved survival in ALS mouse models. In non-human primate studies, CDNF has shown neuroprotective and regenerative capacity for dopamine-generating cells. Signs of efficacy are also seen in non-motor symptoms based on preclinical studies. Commercial Information: In 2016, Herantis received orphan drug designation for CDNF for ALS by both the European Medicines Agency and the US Food and Drug Administration. Clinical development, however, has yet to begin for ALS according to Herantis. The drug is currently being evaluated as a potential therapy for Parkinson's disease at the phase I/II stage. Clinical Study to Test the Safety of CDNF by Brain Infusion in Patients With Parkinson's Disease. ClinicalTrials.gov, 4 Oct 2017. Accessed 8 Feb 2018 from https://clinicaltrials.gov/ct2/show/NCT03295786/. Herantis Pharma Plc. HORN International, n.d. Accessed 9 Mar 2016 from http://hornonline.com/herantis-pharma-plc/. Novel CDNF/MANF Family of Neurotrophic Factors. Lindholm P, Saarma M. Dev Neurobiol. 2010 Apr;70(5):360-71. Comparative Analysis of the Effects of Neurotrophic Factors CDNF and GDNF in a Nonhuman Primate Model of Parkinson's Disease. Garea-Rodriguez, E et al. PLoS One. 2016 Feb 22;11(2):e0149776. Mechanism: CNS10-NPC-GDNF are genetically engineered human neural progenitor cells that secrete GDNF. The approach aims to use stem cells to deliver GDNF into the CNS in hopes to promote motor neuron survival. CNS10-NPC-GDNF for the Treatment of ALS. Clinicaltrials.gov, May 25, 2017. Glial cell line-derived neurotrophic factor-secreting human neural progenitors show long-term survival, maturation into astrocytes, and no tumor formation following transplantation into the spinal cord of immunocompromised rats. Neuroreport. 2014 Apr 16;25(6):367-72. Mechanism: Ceftriaxone is a cephalosporin antibiotic that protects neurons from glutamate excitotoxicity by increasing the expression of the astrocytic excitatory amino acid transporters (EAAT2, or Glt-1). R&D Status: Ceftriaxone is an FDA approved antibiotic. It was under development as a potential ALS therapy. However, in August 2012 the Phase III ALS clinical trial of the antibiotic ceftriaxone was discontinued due to lack of statistically significant effect on disease progression in ALS. Design and initial results of a multi-phase randomized trial of ceftriaxone in amyotrophic lateral sclerosis. Berry, JD et al. PLoS One. 2013 Apr 17;8(4):e61177. Safety and efficacy of ceftriaxone for amyotrophic lateral sclerosis: a multi-stage, randomised, double-blind, placebo-controlled trial. Cudkowicz, ME et al. Lancet Neurol. 2014 Nov;13(11):1083-91. Mechanism: Copaxone is a synthetic protein composed of four amino acids found in myelin basic protein (MBP). The drug simulates MBP, and prevents damage to myelin caused by T-cells. R&D Status: A Phase II trial in ALS testing Copaxone injections in ALS patients was completed in 2009 and no impact on disease progression was observed. The program was discontinued. The drug is FDA approved for relapsing remitting multiple sclerosis. Clinical Trial of Glatiramer Acetate in Amyotrophic Lateral Sclerosis (ALS). ClinicalTrials.gov, 29 Aug 2013. Accessed 11 Mar 2016 from https://clinicaltrials.gov/ct2/show/NCT00326625. Glatiramer acetate has no impact on disease progression in ALS at 40 mg/day: a double- blind, randomized, multicentre, placebo-controlled trial. Meininger, V et al. Amyotroph Lateral Scler. 2009 Oct-Dec;10(5-6):378-83. Mechanism: Cu(II)ATSM is a bisthiosemicarbazone which selectively delivers copper to cells with impaired mitochondrial electron transport chains, a characteristic of ALS and many other neurodegenerative diseases. In both SOD1 mouse models of ALS and in ALS patients, scientists have found alterations in copper homeostasis, providing a rationale for testing this candidate in ALS. In a series of publications in mouse models of ALS, Cu(II)ATSM improved motor function and prolonged survival. Commercial Information: ProCypra is a subsidiary of Collaborative Medicinal Development (CMD). CMD licensed commercial rights to the Cu(II)ATSM technology from the University of Melbourne Australia. The company is founded based on work from Kevin Barnham, Paul Donnelly and Anthony White at the University of Melbourne, as well as Peter Crouch, who led the studies in ALS. R&D Status: A phase I trial of Cu(II)ATSM in ALS in Australia has been completed. Radiolabeled Copper 64-ATSM is also in clinical testing in the U.S. as a hypoxia imaging agent at low doses. Phase 1 Dose Escalation and PK Study of Cu(II)ATSM in ALS/MND ClinicalTrials.gov, 8 Mar 2017. Accessed 8 Feb 2018 from https://clinicaltrials.gov/ct2/show/NCT02870634?term=ATSM&rank=2. CuATSM protects against the in vitro cytotoxicity of wild type-like SOD1 mutants but not mutants that disrupt metal binding. Farrawell, NE et al. ACS Chem Neurosci. 2018 Nov 21. Oral treatment with Cu(II)(atsm) increases mutant SOD1 in vivo but protects motor neurons and improves the phenotype of a transgenic mouse model of amyotrophic lateral sclerosis. Roberts, BR et al. J Neurosci. 2014 Jun 4;34(23):8021-31. Mechanism: Cutamesine is a highly selective sigma-1 receptor (S1R) agonist, which is being developed for ALS. S1R mutations are associated with juvenile ALS, and mouse studies suggest S1R agonists may have therapeutic benefit in ALS. R&D Status: A Phase I clinical trial in ALS was completed in Japan and the EU. A Phase II trial was completed in stroke in Japan and the EU. A mutation in sigma-1 receptor causes juvenile amyotrophic lateral sclerosis. Al-Saif, A et al. Ann Neurol. 2011 Dec;70(6):913-9. Role of the Sigma-1 receptor in Amyotrophic Lateral Sclerosis (ALS). Mavlyutov, TA et al. J Pharmacol Sci. 2015 Jan; 127(1): 10–16. Phase II trial of the Sigma-1 receptor agonist cutamesine (SA4503) for recovery enhancement after acute ischemic stroke. Urfer, R et al. Stroke. 2014 Nov;45(11):3304-10. Mechanism: A RIPK1 kinase inhibitor. This drug aims to protect motor neurons by blocking necroptosis, which may destroy motor neurons in ALS. The approach may also reduce neuroinflammation. Commercial Information: This drug is based on the work of Junying Yuan at Harvard Medical School. R&D Status: A phase I ALS clinical trial launched in January 2019. Study to Evaluate DNL747 in Subjects With Amyotrophic Lateral Sclerosis ClinicalTrials.gov, 28 Nov 2018. Accessed 25 Jan 2019 from https://clinicaltrials.gov/ct2/show/NCT03757351. RIPK1 mediates axonal degeneration by promoting inflammation and necroptosis in ALS. Ito, Y. et al. Science. 2016 Aug 5;353(6299):603-8. Mechanism: The compound is a small molecule modulator of mitochondrial bioenergetics. Commercial Information: Following positive outcomes in a Phase II clinical trial in ALS sponsored by Knopp Biosciences, the compound was licensed to Biogen-Idec (now Biogen) from Knopp Biosciences. The Phase III clinical trial was sponsored by Knopp in collaboration with Biogen, but the drug did not show efficacy on any of the outcome measures examined. R&D Status: Discontinued by Biogen. A Phase III trial of dexpramipexole that enrolled 943 patients was completed in 2012, and the compound did not show efficacy on any of the endpoints assessed. The primary outcome measure assessed was a joint rank analysis of both survival and function. The Phase III extension study in collaboration with Biogen was terminated based on these results. Knopp is still developing the drug for other indications including hypereosinophilic syndromes. Dexpramipexole versus placebo for patients with amyotrophic lateral sclerosis (EMPOWER): a randomised, double-blind, phase 3 trial. Cudkowicz, ME et al. Lancet Neurol. 2013 Nov;12(11):1059-67. Biogen Idec Reports Top-Line Results from Phase 3 Trial Investigating Dexpramipexole in People with Amyotrophic Lateral Sclerosis (ALS). BusinessWire, 3 Jan 2013. Accessed 9 Mar 2016 from http://www.businesswire.com/news/home/20130103005609/en/Biogen-Idec-Reports-Top-Line-Results-Phase-3. Phase 3 Extension Study of Dexpramipexole in ALS (ENVISION). ClinicalTrials.gov, 24 Nov 2014. Accessed 11 Mar 2016 from https://clinicaltrials.gov/ct2/show/NCT01622088. A post hoc analysis of subgroup outcomes and creatinine in the phase III clinical trial (EMPOWER) of dexpramipexole in ALS. Bozik, ME et al. Amyotroph Lateral Scler Frontotemporal Degener. 2014 Sep;15(5-6):406-13. Mechanism: Dimethyl fumarate may help protect neurons from further damage in at least some forms of MS by increasing the percentage of Tregs and improving their ability to regulate inflammation in the immune system. R&D Status: In Australia, researchers at the University of Sydney are determining whether dimethyl fumarate can also help slow the progression of ALS by increasing the number of regulatory T cells and their function. The drug is currently being tested at the phase II stage. Study to Assess the Efficacy and Safety of Tecfidera in Patients with Amyotrophic Lateral Sclerosis Australian New Zealand Clinical Trials Registry. Accessed 25 Jan 2019 from https://www.anzctr.org.au/Trial/Registration/TrialReview.aspx?ACTRN=12618000534280. Mechanism: E0302 (mecobalamin) is a coenzyme form of vitamin B(12), and acts as an important cofactor in the activities of B(12)-dependent methyltransferases. It is approve and marketed as a treatment for peripheral neuropathies in Japan. The mechanism of action in unknown, but some studies suggest that it is neuroprotective and leads to axonal regeneration. R&D Status: A Phase II/III clinical trial of ultra high dose of mecobalamin (E0302) in ALS was completed in July 2014, and a long term study is ongoing. In May 2015, Eisai submitted a new drug application for E0302 for ALS in Japan, but the NDA was withdrawn in March 2016 following a meeting with the Japanese regulatory agency, the Pharmaceuticals and Medical Devices Agency (PMDA), due to insufficient evidence for approval. The drug is approved and marketed in Japan for peripheral neuropathies and other conditions. In the United States, mecobalamin can be purchased over the counter at formulations of lower doses (up to 2500 microgram, while it is being tested at 25 mg and 50mg doses) but clinical testing for ALS is not ongoing. Eisai Submits New Drug Application for Mecobalamin Ultra-High Dose Preparation as Treatment for Amyotrophic Lateral Sclerosis in Japan. JCN Newswire, 27 May 2015. Accessed 9 Mar 2016 from http://en.acnnewswire.com/press-release/english/22659/eisai-submits-new-drug-application-for-mecobalamin-ultra-high-dose-preparation-as-treatment-for-amyotrophic-lateral-sclerosis-in-japan. Methylcobalamin facilitates collateral sprouting of donor axons and innervation of recipient muscle in end-to-side neurorrhaphy in rats. Liao, WC et al. PLoS One. 2013 Sep 30;8(9):e76302. Mechanism: Edaravone is a free radical scavenger, which functions as an antioxidant by neutralizing peroxyl radicals and peroxynitrite. In mouse models of ALS, edaravone reduced motor neuron loss and functional decline. The drug is thought to help protect motor neurons in ALS by reducing oxidative stress. R&D Status: Edaravone is approved for the treatment of ALS in the US, Japan and South Korea. Confirmatory double-blind, parallel-group, placebo-controlled study of efficacy and safety of edaravone (MCI-186) in amyotrophic lateral sclerosis patients. Abe, K et al. Lancet Neurol. 2017 May 15. pii: S1474-4422(17)30115-1. Treatment with edaravone, initiated at symptom onset, slows motor decline and decreases SOD1 deposition in ALS mice. Abe, K et al. Amyotroph Lateral Scler Frontotemporal Degener. 2014 Dec;15(7-8):610-7. Mechanism: Elamipretide targets cardiolipin, a lipid residing in the mitochondrial inner membrane, which is critical to maintaining mitochondrial function and cellular energy supply. Elamipretide, formerly known as Bendavia, has been shown to promote energy production and reduce the production of excess of reactive oxygen species. This drug could have potential applications in neurodegenerative diseases, including ALS. R&D Status: Clinical trials for several conditions are ongoing. The approach is currently being evaluated at phase 3, as a potential treatment for mitochondrial myopathies. A Trial to Evaluate the Safety and Efficacy of Elamipretide in Subjects With Primary Mitochondrial Myopathy Followed by an Open-Label Extension. ClinicalTrials.gov, 27 Oct 2017. Accessed 8 Feb 2018 from https://www.clinicaltrials.gov/ct2/show/NCT03323749. Mechanism: FRM-0334 is a brain penetrant histone deacetylase (HDAC) inhibitor which is being developed as a therapy for frontotemporal dementia (FTD) due to progranulin haploinsufficiency. FRM-0334 has been shown to increase progranulin expression in rodents and in cells derived from patients carrying granulin mutations. Commercial Information: The company closed in the summer of 2016. The status of this drug candidate is unknown. R&D Status: Forum Pharma initiated a Phase II trial in FTD. As of May 2015, the study was recruiting participants. Selectivity and Kinetic Requirements of HDAC Inhibitors as Progranulin Enhancers for Treating Frontotemporal Dementia She, A. et al., Cell Chem Biol. 2017 Jul 20;24(7):892-906.e5. HDAC Program. Forum Pharmaceuticals, 2015. Accessed 9 Mar 2016 from http://www.forumpharma.com/innovation-pipeline/hdac-program/. Study to Assess the Safety, Tolerability, and Pharmacodynamic (PD) Effects of FRM-0334 in Subjects With Prodromal to Moderate Frontotemporal Dementia With Granulin Mutation. ClinicalTrials.gov, 6 May 2015. Accessed 9 Mar 2016 from https://clinicaltrials.gov/ct2/show/NCT02149160. Mechanism: TDI-132 (aka: fingolimod/ Novartis' drug Gilenya) is an agonist of the sphigosine 1 phosphate receptor.It blocks T-cell infiltration into the CNS by reducing their circulation in the blood and retaining them in the lymph nodes. The drug is being developed to reduce neuroinflammation associated with disease progression in ALS. Commercial Information: For full details of the ALS TDI pipeline click here: http://www.alstdi.org/als-research/. R&D Status: Gilenya is approved for treating relapsing, remitting forms of multiple sclerosis. Fingolimod (Gilenya, TDI 132). ALS Therapy Development Institute, 2016. Accessed 9 Mar 2016 from http://www.alstdi.org/als-research/als-topics/gilenya/. Mechanism: GDC-0134 is an inhibitor of the dual leucine zipper kinase (DLK). It aims to promote survival of motor neurons in ALS by reducing glutamate-mediated excitotoxicity. Commercial Information: This approach is being developed by Genentech. In 2017, researchers at Genentech reported that DLK is upregulated in patients and may contribute to neurodegeneration in the disease. R&D Status: A Phase I clinical trial trial of safety and pharmacokinetics of GDC-0134 in ALS opened in 2016. Loss of dual leucine zipper kinase signaling is protective in animal models of neurodegenerative disease. Le Pichon, CE et al. Sci Transl Med. 2017 Aug 16;9(403). pii: eaag0394. Dual leucine zipper kinase is required for excitotoxicity-induced neuronal degeneration. Pozniak, CD et al. J Exp Med. 2013 Nov 18;210(12):2553-67. A Single-Ascending-Dose Study of GDC-0134 to Determine Initial Safety, Tolerability, and Pharmacokinetic Parameters in Patients With Amyotrophic Lateral Sclerosis. ClinicalTrials.gov, 1 Feb 2016. Accessed 11 Mar 2016 from https://clinicaltrials.gov/ct2/show/NCT02655614. Mechanism: GM604 is based on motorneuronotrophic factor (MNTF), a fetally expressed six amino acid endogenous neurotrophin that exhibits neuroprotective, anti-apoptotic, anti-oxidative and anti-inflammatory effects. It acts according to Genervon by modulating 8 or more key pathways that are disrupted in ALS. Commercial Information: GM604 was the subject of a large campaign from the ALS patient and caregiver community to accelerate approval of this therapy for ALS, but many scientists in the ALS research community expressed the need for further validation of the results in larger patient cohorts over longer periods of time. R&D Status: The drug was granted Orphan Drug and Fast Track Designation by the U.S. FDA. A Phase IIA clinical trial in ALS that enrolled 12 patients was completed in 2014. Results from a Phase IIA trial in 12 patients suggest that GM604 is well tolerated. A larger Phase III study based on a longer treatment period is now being planned according to Genervon. A Phase 2A randomized, double-blind, placebo-controlled pilot trial of GM604 in patients with Amyotrophic Lateral Sclerosis (ALS Protocol GALS-001) and a single compassionate patient treatment (Protocol GALS-C) [version 1; referees: 1 approved with reservations]. Kindy M et al. F1000Research 2017, 6:230. Genervon. Therapeutic Applications ALS. Genervon, 2016. Accessed 9 Mar 2016 from http://www.genervon.com/genervon/science_development.php. Genervon GM604 Reduced TDP-43 Protein Aggregates to Homeostasis Normal Range and thus Slowed Down Heterogeneous ALS Progression. Genervon, 22 Sep 2015. Accessed 11 Mar 2016 from http://www.genervon.com/genervon/PR20150922.php. Genervon Announces ALS and PD Phase 2a Trial Results Businesswire, 19 Oct 2014. Accessed 11 Mar 2016 from http://www.businesswire.com/news/home/20141019005074/en/Genervon-Announces-ALS-PD-Phase-2a-Trial. Experimental ALS Drug Triggers Social Media Hype, But Doctors Say Facts about GM604 Are Slim. Fitzgerald, Susan. Neurology Today, 2 Jul 2015 Vol.15(13):20–22. Accessed 9 Mar 2016 from http://journals.lww.com/neurotodayonline/Fulltext/2015/07020/Experimental_ALS_Drug_Triggers_Social_Media_Hype,.8.aspx. Mechanism: Gnx4728 is an inhibitor of the mitochondrial Permeability Transition Pore (mPTP). Increases in mitochondrial permeability are associated with mitochondrial swelling and rupturing, calcium release and release of apoptotic factors. Congenia is collaborating with academic researchers on testing their proprietary inhibitor Gnx4728 in mouse models of ALS. Commercial Information: Congenia is a biotechnology company owned by Genextra. GNX-4728, a novel small molecule drug inhibitor of mitochondrial permeability transition, is therapeutic in a mouse model of amyotrophic lateral sclerosis. Martin, LJ et al. Front Cell Neurosci. 2014 Dec 19; 8:433. Mechanism: IMS-088 is a novel compound derived from withaferin A, a natural compound isolated from the leaves of the winter cherry plant, with improved pharmacological properties for a therapeutic drug. Studies in the SOD1 mouse model of ALS have shown that presymptomatic treatment with withaferin A prolongs survival in this model and reduces misfolded SOD1 levels. A subsequent analysis suggests this reduction may be due to, upon treatment, an increase in heat shock protein 25 (a mouse ortholog of heat shock protein 27). Commercial Information: The company was co-founded by Dr. Jean-Pierre Julien from Laval University. The last update from the company was in January 2014. Early-stage treatment with Withaferin A reduces levels of misfolded superoxide dismutase 1 and extends lifespan in a mouse model of amyotrophic lateral sclerosis. Patel, P et al. Neurotherapeutics 2015 Jan;12(1):217-33. Mechanism: IONIS-SOD1Rx is an antisense oligonucleotide specifically designed to inhibit production of C9orf72 repeat-rich RNAs. C9orf72 ALS is the most common genetic form of the disease. R&D Status: A phase I clinical trial launched in December 2018. A Study to Assess the Safety, Tolerability, and Pharmacokinetics of BIIB078 in Adults With C9ORF72-Associated Amyotrophic Lateral Sclerosis ClinicalTrials.gov, 19 Nov 2018. Accessed 25 Jan 2019 from https://clinicaltrials.gov/ct2/show/NCT03626012. Gain of Toxicity from ALS/FTD-Linked Repeat Expansions in C9ORF72 Is Alleviated by Antisense Oligonucleotides Targeting GGGGCC-Containing RNAs. Jiang, J et al. Neuron. 2016 May 4;90(3):535-50. Mechanism: IPL344 is an activator of the Akt pathway, a key signaling pathway in cell survival and repair.In mutant SOD1 mouse models of ALS, IPL344 delayed disease progression and prolonged survival. Commercial Information: Immunity Pharma's drug candidates were originally discovered laboratory of Prof. Irun R. Cohen at the Weizmann Institute of Science in Rehovot, Israel. The last update from the company was in 2012, and it is unclear whether this program is active. Immunity Pharma - Pipeline. Immunity Pharma, n.d. Accessed 9 Mar 2016 from http://www.immunitypharma.com/company/. Mechanism: Ibudilast is an orally bioavailable, centrally acting phosphodiesterase inhibitor that attenuates glial cell activation, at least in part, by reducing the effect of proinflammatory factors. MN-166 may minimize the production of pro-inflammatory cytokines. R&D Status: In 2014, MedicinNova received FDA approval to begin a Phase II trial of MN-166 in ALS. In 2015, the FDA approved a new clinical protocol to add on a biomarker study component using a novel imaging technology, and to assess the effect of MN-166 on this biomarker. The study was completed at the end of 2017. Ibudilast (MN-166) in Subjects With Amyotrophic Lateral Sclerosis (ALS) (IBU-ALS-1201). ClinicalTrials.gov, 23 Sep 2015. Accessed 9 Mar 2016 from https://clinicaltrials.gov/ct2/show/NCT02238626. FDA Approves a New Clinical Protocol to Evaluate the Effects of MN-166 (ibudilast) on a Biomarker of ALS; MediciNova Plans to Initiate a Clinical Trial with MGH (Massachusetts General Hospital). MarketWatch, 9 Nov 2015. Accessed 9 Mar 2016 from http://www.marketwatch.com/story/fda-approves-a-new-clinical-protocol-to-evaluate-the-effects-of-mn-166-ibudilast-on-a-biomarker-of-als-medicinova-plans-to-initiate-a-clinical-trial-with-mgh-massachusetts-general-hospital-2015-11-09. Mechanism: This approach, which targets exportin 1 (XPO1), aims to protect motor neurons in ALS by blocking nuclear export. The strategy may reduce motor neuron toxicity in ALS in part, by helping keep TDP-43 from building up in the cytoplasm (see Chou et al., 2018). Commercial Information: In January 2018, Biogen obtained the rights to further develop this approach as a potential therapy for neurological diseases including ALS. R&D Status: This drug candidate is being further developed as a potential therapy for ALS by Biogen in Cambridge, Massachusetts. TDP-43 pathology disrupts nuclear pore complexes and nucleocytoplasmic transport in ALS/FTD. Chou, CC et al., Nat Neurosci. 2018 Feb;21(2):228-239. Inhibiting cancer cell hallmark features through nuclear export inhibition. Sun, Q. et al. Signal Transduct Target Ther. 2016 Jul 1;1:16010. Mechanism: LMTX reduces levels of aggregated or misfolded Tau proteins according to preclinical studies. The active ingredient, methyltionininium, also targets aggregation of synuclein, TDP-43 and huntingtin. R&D Status: LMTX is in being tested in Phase III trials for mild and moderate Alzheimer's disease and behavioral variant frontotemporal dementia. Phase I trials in Parkinson's disease are also ongoing. Cellular Models of Aggregation-dependent Template-directed Proteolysis to Characterize Tau Aggregation Inhibitors for Treatment of Alzheimer Disease. Harrington, CR et al. J Biol Chem. 2015 Apr 24;290(17):10862-75. TauRx Completes US$135m Financing Round to Support Phase 3 Clinical Trials Program in Alzheimer's and Frontotemporal Dementia. PR Newswire, 8 Oct 2015. Accessed 11 March 2016 from http://www.prnewswire.com/news-releases/taurx-completes-us135m-financing-round-to-support-phase-3-clinical-trials-program-in-alzheimers-and-frontotemporal-dementia-531217421.html. Open-Label Study of TRx0237 in Subjects With Alzheimer's Disease or Behavioral Variant Frontotemporal Dementia (bvFTD). ClinicalTrials.gov, 17 Sep 2014. Accessed 11 Mar 2016 from https://clinicaltrials.gov/ct2/show/NCT02245568. Mechanism: The strategy aims to slow progression of ALS by reducing neuroinflammation. Commercial Information: By using small doses of IL-2, regulatory T cells can be selectively expanded to help reduce inflammation (Matsuoka et al., 2013). R&D Status: A phase II clinical trial is ongoing in the UK and France. A second clinical trial in the US is also planned. MIROCALS: Modifying Immune Response and OutComes in ALS. ClinicalTrials.gov, 11 Jan 2019. Accessed 25 Jan 2019 from https://clinicaltrials.gov/ct2/show/NCT03039673. Association of Regulatory T-Cell Expansion With Progression of Amyotrophic Lateral Sclerosis: A Study of Humans and a Transgenic Mouse Model. Sheean, RK et al. JAMA Neurol. 2018 Jun 1;75(6):681-689. Expanded autologous regulatory T-lymphocyte infusions in ALS: A phase I, first-in-human study. Thonhoff, JR et al. Neurol Neuroimmunol Neuroinflamm. 2018 May 18;5(4):e465. Low-dose interleukin-2 therapy restores regulatory T cell homeostasis in patients with chronic graft-versus-host disease. Matsuoka, K et al. Sci Transl Med. 2013 Apr 3;5(179):179ra43. Mechanism: MC116 is a sigma-1 receptor (S1R) agonist, which is being developed for Parkinson's disease. This is a potentially interesting compound for ALS, since S1R mutations are associated with juvenile ALS, and mouse studies suggest S1R agonists may have therapeutic benefit in ALS. Phase II trial of the Sigma-1 receptor agonist cutamesine (SA4503) for recovery enhancement after acute ischemic stroke. Mechanism: MRG-107 is an oligonucleotide drug that targets miR-155, a microRNA that is elevated in the spinal cord of patients with ALS, and in ALS mouse models. It is emerging as a key player in neuroinflammation and immune regulation, and therefore is a therapeutic target of interest in ALS. R&D Status: MRG-107 is at the stage of investigational new drug (IND)-enabling studies in ALS. miRagen Therapeutics - Pipeline. miRagen Therapeutics, 2016. Accessed 11 Mar 2016 from http://miragentherapeutics.com/pipeline/. Targeting miR-155 restores abnormal microglia and attenuates disease in SOD1 mice. Butovsky, O et al. Ann Neurol. 2015 Jan; 77(1): 75–99. Method for widespread microRNA-155 inhibition prolongs survival in ALS-model mice. Koval, ED et al. Hum Mol Genet. 2013 Oct 15;22(20):4127-35. Mechanism: Masitinib is thought to reduce inflammation in ALS by blocking microgliosis, at least in the spinal cord. (Trias et al., 2016). The drug may also help protect peripheral motor neurons in ALS by inhibiting the infiltration of macrophages and mast cells. Masitinib is an enzymatic inhibitor which blocks tyrosine kinases including CSF1R, c-Kit and PDGFRα/β. Commercial Information: France discontinued evaluation of this drug as a potential therapy for non-fatal conditions in 2015 due to severe adverse side effects observed in clinical studies. R&D Status: A second Phase III clinical trial of masitinib in combination with riluzole is planned. Locations will include the U.S, Canada and Europe. Post-paralysis tyrosine kinase inhibition with masitinib abrogates neuroinflammation and slows disease progression in inherited amyotrophic lateral sclerosis. Trias, E. J Neuroinflammation. 2016 Jul 11;13(1):177. France Banned AB Science Drug Studies Because of Side Effects. Benoit, A. Bloomberg Business, 8 Jul 2015. Accessed 11 Mar 2016 from http://www.bloomberg.com/news/articles/2015-07-08/france-banned-ab-science-drug-studies-because-of-side-effects. Mechanism: Mexiletine is a sodium channel blocker that may reduce neuronal hyperexcitability by reducing sodium ion influx (the persistent sodium current). R&D Status: A phase II study is currently recruiting. The study aims to determine whether mexiletine may slow progression of ALS, and/or reduce muscle cramps and twitching in the disease. A randomized trial of mexiletine in ALS: Safety and effects on muscle cramps and progression. Neurology. 2016 Apr 19;86(16):1474-81. Mexiletine in Sporadic Amyotrophic Lateral Sclerosis. ClinicalTrials.gov, 23 August 2017. Accessed on 7 March 2017 from https://clinicaltrials.gov/ct2/show/NCT02781454. R&D Status: According to the Oxford BioMedica website, the preclinical studies were expected to be completed by the end of 2016. The MoNuDin webpage on Oxford BioMedica's website has since been removed. MoNuDin. Oxford BiomMedica, 2016. Accessed 11 Mar 2016 from http://www.oxfordbiomedica.co.uk/monudin-r/. VEGF delivery with retrogradely transported lentivector prolongs survival in a mouse ALS model. Azzouz, M et al. Nature. 2004 May 27;429(6990):413-7. Mechanism: This antibody-based approach aims to help muscle fibers and motor neurons stay connected in ALS by increasing the activity of the muscle-specific tyrosine kinase MuSK, a key enzyme that stabilizes neuromuscular junctions. Commercial Information: The approach, originally developed by Genentech, is being further developed by Steve Burden and colleagues at New York University School of Medicine. Increasing MuSK activity delays denervation and improves motor function in ALS mice. Pérez-García MJ, Burden SJ. Cell Rep. 2012 Sep 27;2(3):497-502. Mechanism: NI-204 is a human-derived monoclonal conformational-specific antibody, which specifically targets misfolded superoxide dismutase (SOD1) that aims to prevent accumulation of SOD1 aggregates. Commercial Information: This project is being conducted in collaboration with ALS TDI. A human-derived antibody targets misfolded SOD1 and ameliorates motor symptoms in mouse models of amyotrophic lateral sclerosis. Maier, M et al. Sci Transl Med. 2018 Dec 5;10(470). pii: eaah3924. Mechanism: NI-205 is a human-derived monoclonal antibody that targets TDP-43. Pathological cytoplasmic aggregates of TDP-43 are a hallmark of ALS and ALS/frontotemporal dementia, and mutations in the gene are associated with both diseases. Commercial Information: This asset is being developed in partnership with BIogen. NeurImmune allies with Biogen. European Biotechnology. NeurImmune allies with Biogen. 2 Jun 2011. Accessed 11 Mar 2016 from http://www.european-biotechnology-news.com/nc/news/messages-archive/archive-switzerland/browse/9/article/neurimmune-allies-with-biogen.html. Mechanism: NI-308 is a human-derived monoclonal antibody that targets an undisclosed target for ALS/FTD. Mechanism: NP001 is a small molecule regulator of macrophage activation. It is thought to restore macrophages to their neuroprotective state and reduce inflammation seen in ALS. Treatment of ALS mouse models with NP001 extended survival. In the Phase IIa safety study, administration of a high dose of NP001 (2mg/kg) over a 6 month period was associated with a slowing of disease progression in 27% of patients, approximately 2.5 times greater than the percentage in patients on placebo (10%). Commercial Information: The confirmatory Phase II study of NP001 in ALS is ongoing. It is being directed by Robert Miller, M.D., Director of the Forbes Norris MDA/ALS Research Center at California Pacific Medical Center in San Francisco, CA. R&D Status: A Phase II study was completed in 2012. A confirmatory Phase II study is ongoing. Neuraltus is establishing a managed access program for ALS patients in Europe. Serum C-Reactive Protein as a Prognostic Biomarker in Amyotrophic Lateral Sclerosis. Lunetta, C. et al. JAMA Neurol. 2017 Jun 1;74(6):660-667. Randomized phase 2 trial of NP001-a novel immune regulator: Safety and early efficacy in ALS. Miller, RG et al. Neurol Neuroimmunol Neuroinflamm. 2015 Apr 9;2(3):e100. Differential effects on innate versus adaptive immune responses by WF10. Giese, T. et al. Cell Immunol. 2004 Jun;229(2):149-58. Mechanism: The company's technology revolved around the General Amyloid Interaction Motif (GAIM) technology that simultaneously targets multiple misfolded proteins or amyloids. The GAIM technology are able to both prevent the formation of new toxic protein aggregates and also clear existing aggregates in the form of both soluble oligomers and insoluble fibers, such as plaques and tangles. NPT088 is the GAIM motif fused to a portion of a human antibody, which can be easily administered to patients. This mechanism of action suggest that the GAIM technology could also be beneficial in ALS. Neurophage. Our Science, Papers and Posters. Neurophage, 2015. Accessed 11 Mar 2016 from http://neurophage.com/science/papers-posters/. Hunting For Brain Plaques, Neurophage Turns to a Virus. Fidler, B. Xconomy, 31 Jan 2016. Accessed 11 Mar 2016 from http://www.xconomy.com/boston/2014/01/31/hunting-for-brain-plaques-neurophage-turns-to-a-virus/. Mechanism: NSI-566 are human spinal cord stem cell (HSSCs) that are administered into the gray matter of the spinal cord. In mouse models of ALS, NSI-566 cells expressed neutrophic factors and established synaptic connections with motor neurons. The cells are intended to provide neuroprotection to motor neurons in ALS patients. R&D Status: An open-label phase II clinical trial in ALS was completed in 2015. The trial found that stem cell transplantation was safe in people with ALS. The approach, however, did not slow progression of the disease according to a comparison to 3 historical control groups. Transplantation of spinal cord-derived neural stem cells for ALS: Analysis of phase 1 and 2 trials. Glass, JD. et al. Neurology. 2016 Jul 26;87(4):392-400. Intraspinal stem cell transplantation in amyotrophic lateral sclerosis: a phase I trial, cervical microinjection, and final surgical safety outcomes. Riley, J et al. Neurosurgery. 2014 Jan;74(1):77-87. Human neural stem cell grafts in the spinal cord of SOD1 transgenic rats: differentiation and structural integration into the segmental motor circuitry. Xu, L et al. J Comp Neurol. 2009 Jun 1;514(4):297-309. Mechanism: NT-K0-003 is a small molecule modulator of microglial activity that confers neuroprotection according to preclinical studies. The compound, also known as diazoxide, is a K-ATP potassium channel activator that may reduce inflammation by blocking microglial activation. Commercial Information: A phase II clinical study of the drug demonstrated no significant benefit in relapsing-remitting multiple sclerosis (RRMS). The status of the drug is unknown. R&D Status: A Phase II study of NT-KO-001 for multiple sclerosis was completed in 2014. Effects of diazoxide in multiple sclerosis: A randomized, double-blind phase 2 clinical trial. Villoslada, P. et al. Neurol Neuroimmunol Neuroinflamm. 2015 Sep 10;2(5):e147. Mechanism: The Neurostem therapy consists of mesenchymal stem cells derived from allogeneic umbilical cord blood that are believed to confer therapeutic benefit by inducing the release of therapeutic proteins (i.e. : anti-apoptotic, anti-inflammatory and anti-oxidative stress) from endogenous cells through paracrine actions. The treatment is first being developed to treat Alzheimer's type dementia, but the company aims to also apply it to ALS and stroke. R&D Status: Medipost is currently conducting a Phase I/II trial of Neurostem for Alzheimer's disease in Korea. Stem Cell Products - Neurostem. Medipost America, 2015. Accessed 11 Mar 2016 from http://medipostamerica.com/stem-cell-products-overview/adult-stem-cell-drugs/neurostem/. Safety and Exploratory Efficacy Study of NEUROSTEM Versus Placebo in Patients With Alzheimer's Disease. ClinicalTrials.gov, 6 Jan 2016. Accessed 11 Mar 2016 from https://clinicaltrials.gov/ct2/show/NCT02054208. Mechanism: The approach aims to help protect motor neurons in ALS in part, by stimulating axonal outgrowth and protecting against glutamate-induced excitotoxicity. Commercial Information: The drug exhibited no significant benefit in Parkinson's disease according to a phase II clinical trial. But according to some studies, in at least some forms of PD, neurturin may be unable to promote survival of dopaminergic neurons and may be harder to deliver, particularly in advanced stages of the disease. R&D Status: This gene therapy is being developed as a potential therapy for ALS in the laboratory of Nicholas Maragakis at Johns Hopkins University School of Medicine in Baltimore, Maryland. Intraspinal delivery of AAV2-NRTN for ALS - a dose-ranging study of safety, tolerability, biodistribution, and efficacy. Gross, SK et al. 2017 Meeting of the Society of Neuroscience. The ongoing pursuit of neuroprotective therapies in Parkinson disease. Athauda D, Foltynie T. Nat Rev Neurol. 2015 Jan;11(1):25-40. Mechanism: Kinemed is developing noscapine and new analogues for neurodegenerative diseases and fibrotic diseases. Noscapine regulates abnormal microtubule (MT) dynamics, and reverses MT-mediated neuronal transport defects. The company has developed a proprietary technology for assessing MT turnover that is being developed as a biomarker in several neurodegenerative diseases, including ALS. KineMed Receives U.S. Patent Allowance for Noscapine to Treat ALS, Parkinson’s Disease, and Diabetic Neuropathy. BioSpace, 4 Sep 2014. Accessed 9 Mar 2016 from http://www.biospace.com/News/kinemed-inc-receives-u-s-patent-allowance-for/345325. Kinemed. Neurodegenerative Diseases. Kinemed, n.d. Accessed 9 Mar 2016 from http://www.kinemed.com/Corporate/Core-Areas/Neuro.aspx. Mechanism: The company is aiming to identify small molecules that bind the misfolded SOD1 dimer and stabilize it, thereby preventing aggregation and seeding of protein misfolding in wild-type SOD1. Efforts are focused on medicinal chemistry followed by in vivo and in vitro optimization to identify compounds optimized for human testing. Commercial Information: Anelixis Therapeutics is a virtual biotechnology company that is the for-profit subsidiary of ALSTDI. SOD1 Program. Anelixis Therapeutics, 2016. Accessed 28 Dec 2015 from http://www.anelixistherapeutics.com/SOD1Program.aspx. Mechanism: Aquinnah is developing compounds that eliminate TDP-43-positive stress granules which are estimated to persist in more than 75% of cases of the disease. Commercial Information: The company screened more than 75,000 compounds to identify potential granules that eliminate TDP-43 positive stress granules. They are now developing an undisclosed subset of these compounds. The company is co-founded by Dr. Benjamin Wolozin from Boston University. Aquinnah Pharmaceuticals Receives $5 Million Investment from Takeda Pharmaceuticals To Advance New Therapies in ALS. PR Newswire, 21 Dec 2015. Accessed 28 Dec 2015 from http://www.prnewswire.com/news-releases/aquinnah-pharmaceuticals-receives-5-million-investment-from-takeda-pharmaceuticals-to-advance-new-therapies-in-als-300195607.html. Mechanism: This experimental gene therapy aims to protect motor neurons in SOD1 ALS by reducing levels of misfolded SOD1. Commercial Information: In June 2017, AveXis obtained the rights to develop and commercialize a gene therapy targeting SOD1 ALS using REGENXBIO's AAV9 vector, a CNS-penetrant delivery vehicle. The vector forms the basis of AveXis' experimental gene therapy for spinal muscular atrophy, now at phase I. Therapeutic AAV9-mediated suppression of mutant SOD1 slows disease progression and extends survival in models of inherited ALS. Foust KD, et al. Mol Ther. 2013 Dec;21(12):2148-59. AveXis and REGENXBIO Announce New Exclusive Worldwide Licenses for the Treatment of Two Rare Neurological Monogenic Disorders Using NAV AAV9 Vector. Accessed 15 Feb 2018 from http://investors.avexis.com/phoenix.zhtml?c=254285&p=irol-newsArticle&ID=2279618. Conditions: ALS, Alzheimer's disease, Huntington's disease, Parkinson's Disease and other conditions. Mechanism: Chaperone Therapeutics is developing small molecules that aim to activate HSF1, a key modulator of protein folding and stress response pathways. The approach aims to lower neuronal stress by reducing the buildup of misfolded proteins. Commercial Information: In August 2015, Chaperone Therapeutics and ALS TDI announced a partnership to develop therapies for ALS. Chaperone Therapeutics and ALS Therapy Development Institute Enter into Research Partnership. ChaperoneTherapeutics, 10 Aug 2015. Accessed 9 Mar 2016 from http://www.chaperonetherapeutics.com/wp-content/uploads/2015/08/Chaperone-Therapeutics-and-ALS-TDI-press-release.pdf. Mechanism: OptiKira is developing inhibitors of the unfolded protein response, specifically of inositol-requiring enzyme-1 alpha (IRE1α), a key activation step in the unfolded protein response (UPR). The technology has applications for ALS, although the company's current focus is diabetes and retinitis pigementosa. Commercial Information: OptiKira was launched in 2015 by BioMotiv, the mission-driven accelerator associated with The Harrington Project for Discovery and Development. The technologies licensed by the company were developed in the laboratories of Scott Oakes and Feroz Papa at the University of California San Francisco and Bradley Backes (UCSF) and Dustin Maly (University of Washington). OptiKira, a New Biotech Start-up, Created to Develop Drugs to Prevent Cell Death Caused by the Unfolded Protein Response. PR Newswire, 2 Feb 2015. Accessed 11 Mar 2016 from http://www.prnewswire.com/news-releases/optikira-a-new-biotech-start-up-created-to-develop-drugs-to-prevent-cell-death-caused-by-the-unfolded-protein-response-300028909.html. Mechanism: ProMIS is developing therapeutic approaches for immunization against disease-specific epitopes (DSE) of misfolded or aggregated mutant superoxide dismutase-1 (SOD-1). The company uses a dual approach of passive immunization with anti-SOD1 monoclonal antibodies, in combination with activate immunization with an anti-SOD1 vaccine to produce antibodies in the patient's body. The vaccine is expected to eliminate the misfolded protein, while sparing wild-type SOD-1. Promis Neurosciences. Promis Neurosciences, 2016. http://promisneurosciences.com/company/. Accessed 9 Mar 2016. Mechanism: This approach aims to reduce motor neuron toxicity in ALS by pushing TDP-43 back into the nucleus. Mechanism: Verge Genomics is applying network algorithms to large-scale gene expression data to map out clusters of co-regulated genes implicated in neurodegenerative diseases, including in ALS. They then examine publicly-available information to identify FDA-approved drugs that can be tested to affect the gene clusters of interest. Commercial Information: The company was launched out of the YCombinator accelerator program by Alice Zhang and Jason Chen, both from the University of California, Los Angeles - Caltech MD/PhD program. Verge Genomics Wants To Cure Neurodegenerative Diseases Through Advanced Algorithms. Crook, J. TechCruch, 21 Jul 2015. Accessed 11 Mar 2016 from http://techcrunch.com/2015/07/21/verge-genomics-wants-to-cure-neurodegenerative-diseases-through-advanced-algorithms/. A multiancestral genome-wide exome array study of Alzheimer disease, frontotemporal dementia, and progressive supranuclear palsy. Chen, JA et al. JAMA Neurol. 2015 Apr;72(4):414-22. Mechanism: Yumanity’s innovative new approach to drug discovery and development concentrates on reversing the cellular phenotypes and disease pathologies caused by protein misfolding. Yumanity's discovery platform combines high-throughput screening in yeast cells with a human neural platform composed of induced pluripotent stem cells from patients, which allows for iterative and parallel analysis of results in both systems. In addition, the company has a drug-target identification platform that leverages yeast genetics and analysis of protein networks to identify drug targets. The company's lead candidate is for Parkinson's disease. Commercial Information: Formed in 2014 by former CEO of Onyx Pharmaceuticals, Tony Coles, MD, and protein folding science pioneer, Prof. Susan Lindquist, PhD, from Massachusetts Institute of Technology in Cambridge, MA. From yeast to patient neurons and back again: powerful new discovery platform. Tardiff, DF et al. Mov Disord. 2014 Sep;29(10):1231-40. Mechanism: miCure Therapeutics is developing microRNA-based therapeutics for CNS disorders. The company is pursuing an approach to treat ALS by restoring microRNA expression to their endogenous levels. Commercial Information: The company was founded based on technologies developed by Prof. Alon Chen and Dr. Eran Hornstein of the Weizmann Institute of Science in Rehovot, Israel. Mechanism: This gene therapy aims to reduce TGFß signaling via the delivery of an antisense oligonucleotide targeting TGFß receptor type-II (TGFßRII). The approach may be protect motor neurons in ALS, according to preclinical studies, in part, by reducing astrocyte-mediated toxicity. Commercial Information: This gene therapy is being developed by the laboratory of Ulrich Bogdahn at the University of Regensburg in Germany. The approach is currently being evaluated in the clinic, in partnership with Isarna Therapeutics in Munich, Germany, at phase 1 as a treatment for an advanced form of glaucoma. In vivo safety and efficacy evaluation of a novel 3rd generation antisense oligonucleotide against TGFßRII to treat amyotrophic lateral sclerosis. Peters, S et al. 2017 Annual Meeting of the Society of Neuroscience. Reactive Astrocytes Promote ALS-like Degeneration and Intracellular Protein Aggregation in Human Motor Neurons by Disrupting Autophagy through TGF-β1. Tripathi, P. et al. Stem Cell Reports. 2017 Aug 8;9(2):667-680. Mechanism: Nuedexta is Avanir's first-in-class dual action drugs, which acts on both sigma-1 receptors and NMDA receptors. The precise mechanism of action is not known. Nuedexta diminishes the unpredictable emotional episodes of pseudobulbar affect (PBA) according to clinical studies (Schoedel et al., 2014). Commercial Information: The active ingredient of Nuedexta is dextromethorphan. The drug is stabilized through a formulation which contains quinidine sulfate. R&D Status: The drug is FDA-approved for treating pseudobulbar affect (emotionality) which can occur in many neurological disorders including ALS and FTD. More recently, however, the drug has been shown to help some patients with ALS speak, swallow and reduce salivation (Smith et al., 2017). Enhanced Bulbar Function in Amyotrophic Lateral Sclerosis: The Nuedexta Treatment Trial. Smith, R. et al. Neurotherapeutics. 2017 Jan 9. Evaluating the safety and efficacy of dextromethorphan/quinidine in the treatment of pseudobulbar affect. Schoedel, KA et al. Neuropsychiatr Dis Treat. 2014 Jun 26;10:1161-74. Clinical Trial Nuedexta in Subjects With ALS. ClinicalTrials.gov, 18 Feb 2015. Accessed 11 Mar 2016 from https://clinicaltrials.gov/ct2/show/NCT01806857. Conditions: ALS, multiple sclerosis, Parkinson's disease, Huntington's disease. Mechanism: NurOwn is an experimental cell-based therapy containing autologous cultured mesenchymal bone marrow stromal cells secreting neurotrophic factors including BDNF, GDNF and HGF, as a possible treatment for patients with ALS. R&D Status: Phase II studies for ALS have been completed in Israel and the United States. Other neurological diseases are in preclinical phase. Safety and Clinical Effects of Mesenchymal Stem Cells Secreting Neurotrophic Factor Transplantation in Patients With Amyotrophic Lateral Sclerosis: Results of Phase 1/2 and 2a Clinical Trials. Petrou P et al. JAMA Neurol. 2016 Mar;73(3):337-44. Phase 2, Randomized, Double Blind, Placebo Controlled Multicenter Study of Autologous MSC-NTF Cells in Patients With ALS (NurOwn). ClinicalTrials.gov, 13 Jan 2016. Accessed 9 Mar 2016 from https://clinicaltrials.gov/ct2/show/NCT02017912. Mechanism: ODM-109 aims in part, to improve breathing in ALS by improving the performance of muscles in the diaphragm. The drug candidate, also known as oral levosimendan, increases the force of contraction of certain muscles by boosting the calcium sensitivity of troponin C.
Commercial Information: The drug candidate is an oral formulation of levosimendan. An intravenous formulation of levosimendan, marketed under the name Simdax, is clinically approved in some countries for the treatment of acute heart failure. Effects of Oral Levosimendan (ODM-109) on Respiratory Function in Patients With ALS Clinicaltrials.gov, 17 Jul 2018. Accessed on 9 Aug 2018 from https://www.clinicaltrials.gov/ct2/show/NCT02487407. Oral levosimendan (ODM109): key placebo-controlled results from the phase 2 study in ALS patients with SVC between 60-90% predicted at screening. Chalabi A. et al, 2017. International Symposium on ALS/MND. Boston, Massachusetts. Effects of ODM-109 on Respiratory Function in Patients With Amyotrophic Lateral Sclerosis. Clinicaltrials.gov, 28 Nov 2017. Accessed on 27 Feb 2018 from https://www.clinicaltrials.gov/ct2/show/NCT02487407. The calcium sensitizer levosimendan improves human diaphragm function. Al-Doorduin J et al., Am J Respir Crit Care Med. 2012 Jan 1;185(1):90-5. Mechanism: Olesoxime is a cholesterol-oxime compound that targets and preserves mitochondrial integrity and function under conditions of cellular stress by modulating the mitochondrial permeability transition pore, and as a result promotes the function and survival of neurons and other cell types under disease-relevant stress conditions. The compound improved muscle function and reduced astrogliosis and microglial activation in preclinical studies in SOD1 ALS mouse models, but failed Phase III trials in ALS. Commercial Information: The company Trophos was developing olesoxime for ALS, but it failed to show a statistically significant effect in a Phase III clinical trial in ALS in Europe, so the company discontinued development of the compound for ALS. This asset was aquired by Roche from Trophos in early 2015. R&D Status: A Phase III, double-blind, placebo-controlled clinical trial of olexosime as add-on therapy to riluzole in 512 people with ALS over 18 months conducted in Europe failed to yield a clinically significant improvement in the 18 month survival rate (Lenglet et al., 2014). The company has shifted it focus for this drug to spinal muscular atrophy (SMA) and a Phase II clinical trial to evaluate long term safety, tolerability and effectiveness of olesoxime is ongoing. Trophos was granted orphan drug designation for olesoxime by the US FDA. Safety and Efficacy of TRO19622 as add-on Therapy to Riluzole Versus Placebo in Treatment of Patients Suffering From Amyotrophic Lateral Sclerosis (ALS) (MITOTARGET) ClinicalTrials.gov, 27 Mar 2012. Accessed 16 Mar 2016 from https://clinicaltrials.gov/ct2/show/NCT00868166. A Study to Evaluate Long Term Safety, Tolerability, and Effectiveness of Olesoxime in Patients With Spinal Muscular Atrophy. ClinicalTrials.gov, 1 Mar 2016. Accessed 11 Mar 2016 from https://clinicaltrials.gov/ct2/show/NCT02628743. A phase II-III trial of olesoxime in subjects with amyotrophic lateral sclerosis. Lenglet, T. et al. Eur J Neurol. 2014 Mar;21(3):529-36. Olesoxime delays muscle denervation, astrogliosis, microglial activation and motoneuron death in an ALS mouse model. Sunyach, C et al. Neuropharmacology. 2012 Jun;62(7):2346-52. Mechanism: Ozanezumab (GSK 1223249) is a neurite outgrowth inhibitor (NOGO-A) monoclonal antibody. The rationale for testing ozanezumab in ALS is supported by evidence that NOGO is overexpressed in skeletal muscle of ALS patients, and inhibiting its expression may promote axonal sprouting of new neurites. R&D Status: A Phase II trial in ALS was completed. Primary endpoints were joint rank analysis of function via ALSFRS, and survival. The results indicated a non-significant difference in the joint rank score in favor of placebo (difference -30, P =.120), and all secondary efficacy endpoints supported this finding. Safety and efficacy of ozanezumab in patients with amyotrophic lateral sclerosis: a randomised, double-blind, placebo-controlled, phase 2 trial. Meininger, V et al. Lancet Neurol. 2017 Mar;16(3):208-216. Study of Ozanezumab (GSK1223249) Versus Placebo in the Treatment of Amyotrophic Lateral Sclerosis. ClinicalTrials.gov, 9 Jul 2015. Accessed 9 Mar 2016 from https://clinicaltrials.gov/ct2/show/NCT01753076. Mechanism: Restoring mitochondrial dynamics, by blocking the hyperactivation of the fission regulator Drp1, may help protect motor neurons in ALS by reducing oxidative stress and increasing energy levels, including at the nerve terminals. Commercial Information: P110 is a peptide antagonist of Drp1, a regulator of mitochondrial fission. The approach aims to protect mitochondria in ALS by reducing excess fragmentation of mitochondria. The strategy was developed in the laboratory of Daria Mochly-Rosen at Stanford University in California. Inhibition of Drp1/Fis1 interaction slows progression of amyotrophic lateral sclerosis. Joshi, AU et al., 2018. EMBO Mol Med. 2018 Jan 15. pii: e8166. Mechanism: Pimozide may help stabilize NMJs by blocking calcium channels, which may stimulate neurotransmitter release (Patten et al., 2017). Researchers at the University of Montreal in Canada discovered that drug in a high-throughput screen that aimed to identify potential therapies for ALS by looking for drugs that improved mobility of a zebrafish model of the disease. Commercial Information: According to a small 6 week phase II study, researchers at the University of Calgary found that patients taking pimozide experienced multiple side effects including dizziness, blurred vision, and tremors. Now, researchers at the University of Montreal in Canada are developing derivatives of the drug in hopes to improve the drug's tolerability. R&D Status: Pimozide, marketed under the name Orap, is a FDA-approved generic medication for the treatment of neuropsychiatric conditions including Tourette's syndrome. The drug was originally developed in the 1960s as a treatment for schizophrenia. A phase II clinical trial of pimozide in ALS is ongoing. Getting to Know Pimozide in ALS. ALS Canada Virtual Research Forum. 9 Aug 2017. A Clinical Trial of Pimozide in Patients With Amyotrophic Lateral Sclerosis (ALS) (Pimozide2) Clinicaltrials.gov, 27 Nov 2017. Accessed 15 Feb 2017 from https://www.clinicaltrials.gov/ct2/show/NCT03272503. Neuroleptics as therapeutic compounds stabilizing neuromuscular transmission in amyotrophic lateral sclerosis. Patten, SA et al. JCI Insight. 2017 Nov 16;2(22). pii: 97152. Mechanism: Q-cells are purified human glial-restricted progenitors derived from human fetal neural tissue. In rats overexpressing mutant superoxide dismutase (SOD1), transplanted glial-restricted precursors prolong lifespan, reduce microgliosis, improve motor neuron survival and attenuate decline in motor and respiratory function. In SOD1 mice, transplantation did not attenuate motor neuron death or improve survival, however, the glial-restricted progenitors survived and differentiated into astrocytes in the spinal cord. Commercial Information: Q Therapeutics has exclusive worldwide rights to the Q-Cells product through a license from University of Utah Research Foundation and through internally-developed intellectual property. R&D Status: Q-cells were granted FDA orphan drug designation in 2014 for ALS. A Phase I/II clinical trial in ALS is listed but not yet open for recruitment. Study to Investigate the Safety of the Transplantation (by Injection) of Human Glial Restricted Progenitor Cells (hGRPs; Q-Cells) Into Subjects With Amyotrophic Lateral Sclerosis (ALS). ClinicalTrials.gov, 18 Jun 2015. Accessed 11 Mar 2016 from https://clinicaltrials.gov/ct2/show/NCT02478450. Focal transplantation-based astrocyte replacement is neuroprotective in a model of motor neuron disease. Lepore, AC et al. Nat Neurosci. 2008 Nov;11(11):1294-301. Human glial-restricted progenitor transplantation into cervical spinal cord of the SOD1 mouse model of ALS. Lepore, AC et al. PLoS One. 2011;6(10):e25968. Mechanism: RDC5 increases autophagy and protein turnover in cells. The approach also activated other pathways including the repair of DNA damage and the reduction of oxidative stress. Chronos has tested RDC5 in both a C. elegans SOD1 model and in SOD1 and TDP-43 mouse models. RDC5 was protective in the C. elegans model, showing a decreased toxicity and a reduced level of toxic protein aggregates. R&D Status: A Phase I clinical trial was completed in healthy volunteers. A Phase 1 Study of the Pharmacokinetics of RDC5 in Healthy Volunteers. ClinicalTrials.gov, 11 Mar 2014. Accessed 11 Mar 2016 from https://clinicaltrials.gov/ct2/show/NCT02016742. Mechanism: RL648_81 is a KCNQ2/3-specific channel activator that aims to reduce neuronal hyperexcitability by enabling neurons to return to the resting state upon firing. The drug, also known as RL-81 is a derivative of the FDA-approved epilepsy drug retigabine. Commercial Information: Researchers in the laboratory of Thanos Tzounopoulos at the University of Pittsburgh in Pennsylvania developed RL-81 in hopes to improve the safety and selectivity of retigabine, and thereby reduce its side effects. Synthesis and Evaluation of Potent KCNQ2/3-specific Channel Activators. Kumar, M. et al. Mol Pharmacol. 2016 Jun;89(6):667-77. Mechanism: RNS60 is a 0.9% saline solution containing oxygenated nanobubbles that is generated by subjecting normal saline to Taylor-Couette-Poiseuille (TCP) flow under elevated oxygen pressure. RNS60, according to studies of a SOD1 mouse model of ALS, may help promote the survival of neurons by activating the PI3K-Akt pathway. The approach may also help reduce inflammation by multiple mechanisms including: increasing CD4+/FoxP3+ regulatory T cells and stimulating the production of anti-inflammatory cytokines. R&D Status: RNS60 was well tolerated in three phase I clinical trials, one after intravenous administration and two after inhalation. A Phase II study in ALS is ongoing in Italy. An additional trial site in the US, at Massachusetts General Hospital, is also planned. ALS Association and ALS Finding a Cure® Supported Phase II RNS60 Trial is Now Enrolling ALS Association, ClinicalTrials.gov, 19 Sep 2017. Accessed 14 Feb 2018 from https://alsadotorg.wordpress.com/2017/09/19/clinical-trial-als-association-supported-phase-ii-rns60-trial-is-now-enrolling/. Nebulized RNS60 for the Treatment of Amyotrophic Lateral Sclerosis. ClinicalTrials.gov, 30 Dec 2015. Accessed 11 Mar 2016 from https://clinicaltrials.gov/ct2/show/NCT02525471. A Pilot Study of RNS60 in Amyotrophic Lateral Sclerosis (ALS). Chandra, G et al. J Neuroimmune Pharmacol. 2017 Nov 29. doi: 10.1007/s11481-017-9771-4. Increase in Mitochondrial Biogenesis in Neuronal Cells by RNS60, a Physically-Modified Saline, via Phosphatidylinositol 3-Kinase-Mediated Upregulation of PGC1α. Modi KK, Jana A, Ghosh S, Watson R, Pahan K. PLoS One. 2014;9(8):e103606. RNS60 exerts therapeutic effects in the SOD1 ALS mouse model through protective glia and peripheral nerve rescue. Vallarola, A. et al, J Neuroinflammation. 2018 Mar 1;15(1):65. Mechanism: Ranolazine is a sodium channel blocker that may reduce neuronal hyperexcitability by reducing sodium ion influx (the persistent sodium current). R&D Status: A phase II study is currently recruiting. The study aims to determine whether ranolazine is safe for people with ALS, and reduces muscle cramps and/or twitching in the disease. Safety and Efficacy of Ranolazine for the Treatment of Amyotrophic Lateral Sclerosis Clinicaltrials.gov, 19 Jun 2018. Accessed 9 Aug 2018 from https://www.clinicaltrials.gov/ct2/show/NCT03272503. Study Design and Preliminary Results of Safety and Efficacy of Ranolazine for the Treatment of Amyotrophic Lateral Sclerosis Hamasaki A et al., Neurology. 2018 Apr 25;90 (15 Supplement). Electrophysiological effects of ranolazine, a novel antianginal agent with antiarrhythmic properties. Antzelevitch C et al., Circulation. 2004 Aug 24;110(8):904-10. Mechanism: Rasagiline is an inhibitor of type B monoamine oxidase (MAO-B). It is thought to help protect neurons by bolstering mitochondria by suppressing Ca(2+) efflux through the mitochondrial permeability transition pore (Wu et al., 2015). Commercial Information: The drug is currently used to help treat early stages of Parkinson's disease. R&D Status: Rasagiline did not provide significant benefit in ALS according to the results of two phase II clinical trials. Rasagiline and selegiline suppress calcium efflux from mitochondria by PK11195-induced opening of mitochondrial permeability transition pore: a novel anti-apoptotic function for neuroprotection. Wu, Y. et al. J Neural Transm (Vienna). 2015 Oct;122(10):1399-407. Mechanism: CK-107, is a fast skeletal muscle troponin activator (FSTA), that aims to increase muscle strength and decrease muscle fatigue in part, by slowing the release of calcium bound to the muscle protein, troponin, increasing the force of muscle contraction. Commercial Information: Cytokinetics is collaborating with Astellas Pharma to develop this potential therapy. The approach, which is structurally distinct from tirasemtiv, is unable to cross the blood-brain-barrier, opening up the possibility that the drug candidate may have a fewer side effects. Mechanism: Retigabine is a Kv7 potassium channel activator that may reduce neuronal hyperexcitability by helping neurons return to the resting state upon firing. Commercial Information: The drug is no longer commercially available after June 30, 2017. R&D Status: The phase 2 clinical trial of retigabine in ALS is ongoing. The study aims to determine the safety and tolerability of retigabine in people with ALS. The study also plans to determine whether retigabine reduces motor neuron hyperexcitability in people with the disease. Intrinsic membrane hyperexcitability of amyotrophic lateral sclerosis patient-derived motor neurons. Wainger, BJ et al., Cell Rep. 2014 Apr 10;7(1):1-11. Mechanism: sNN0029 is a formulation of vascular endothelial growth factor (VEGF) protein that is suitable for administration into the central nervous system. The drug will be delivered via intracerebroventricular infusion. Multiple studies have shown that VEGF expression is impaired in ALS, and that VEGF treatment ameliorates disease in ALS mouse models. Commercial Information: Neuronova was acquired by Newron Pharmaceuticals in 2012. R&D Status: The company announced initiation of a Phase II study in ALS, but the studies have been terminated, due to issues with development and supples of the infusion system and lack of favorable benefit risk ratio based on review of interim data. Treatment of motoneuron degeneration by intracerebroventricular delivery of VEGF in a rat model of ALS. Storkebaum, E et al. Nat Neurosci. 2005 Jan;8(1):85-92. An Open Label, Safety and Tolerability Continuation Study of Intracerebroventricular Administration of sNN0029 to Patients With Amyotrophic Lateral Sclerosis. ClinicalTrials.gov, 26 Jan 2016. Accessed 11 Mar 2016 from https://clinicaltrials.gov/ct2/show/NCT01384162. Conditions: ALS, Parkinson's disease, multiple sclerosis, spinal cord injury. Mechanism: RhinoCyte develops therapies based on autologous adult olfactory-derived neural progenitor stem cells (RhinoCytes). It is unclear whether this program is active. Commercial Information: The company was founded in partnership with MetaCyte Business Lab, LLC. R&D Status: Preclinical. RhinoCyte Cells were granted Orphan Drug Designation for use in treatment of ALS in 2009. RhinoCyte - Our Research. RhinoCyte, 2016. Accessed 11 Mar 2016 from http://www.rhinocyte.com/. 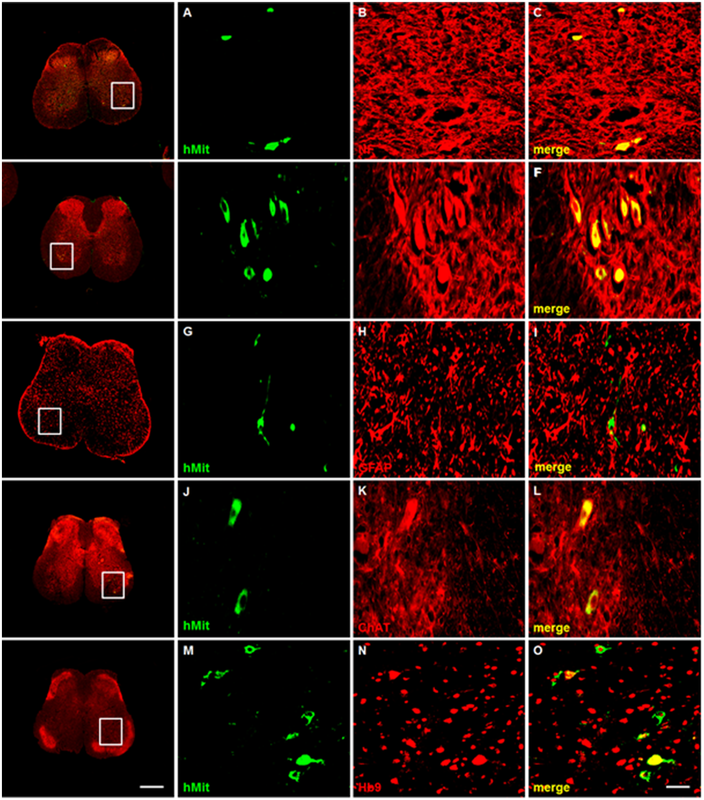 Human adult olfactory neural progenitors promote axotomized rubrospinal tract axonal reinnervation and locomotor recovery. Xiao M et al. Neurobiol Dis. 2007 May;26:363-374. Mechanism: Riluzole is a benzothiazole. Its mechanism of action is unknown, but its pharmacological properties include inhibition of glutamate release, inactivation of voltage-dependent sodium channels, modulation of signaling pathways activated by neurotransmitter binding to excitatory amino acid receptors (EAAT2). Commercial Information: Covis Pharma Sarl acquired the commercial rights to Rilutek from Sanofi-aventis in the U.S. in 2013. R&D Status: Riluzole is the first FDA approved disease-modifying therapy for ALS. The effect on survival is moderate, and the drug prolongs survival by an estimated 2-6 months. It is currently being evaluated as a treatment for Alzheimer's disease, Spinocerebellar ataxia, spinal cord injury and other conditions. Riluzole is no longer being pursued as a potential therapy for Parkinson's and Huntington's diseases due to a lack of effect observed in clinical studies. Rilutek (riluzole). Sanofi-aventis, 2008. Accessed 11 Mar 2016 from http://www.accessdata.fda.gov/drugsatfda_docs/label/2009/020599s011s012lbl.pdf. Dose-ranging study of riluzole in amyotrophic lateral sclerosis. Amyotrophic Lateral Sclerosis/Riluzole Study Group II. Lacomblez, L et al. Amyotrophic Lateral Sclerosis/Riluzole Study Group II. Lancet. 1996 May 25;347(9013):1425-31. A controlled trial of riluzole in amyotrophic lateral sclerosis. ALS/Riluzole Study Group. Bensimon, G et al. N Engl J Med. 1994 Mar 3;330(9):585-91. Riluzole in mild Alzheimer's disease. ClinicalTrials.gov, 2 Mar 2016. Accessed 11 Mar 2016 from https://clinicaltrials.gov/ct2/show/NCT01703117. Clinical Trial With Riluzole in Spinocerebellar Ataxia Type 2 (ATRIL). ClinicalTrials.gov, 20 Nov 2018. Accessed 8 Feb 2018 from https://clinicaltrials.gov/ct2/show/NCT03347344. Riluzole in Spinal Cord Injury Study (RISCIS). ClinicalTrials.gov, 6 Jun 2017. Accessed 8 Feb 2018 from https://clinicaltrials.gov/ct2/show/NCT01597518. Riluzole in Huntington's disease: a 3-year, randomized controlled study. Landwehrmeyer GB et al. Ann Neurol. 2007 Sep;62(3):262-72. Riluzole treatment, survival and diagnostic criteria in Parkinson plus disorders: the NNIPPS study. Bensimon G et al. Brain. 2009 Jan;132(Pt 1):156-71. Mechanism: SB-509 is an injectable formulation of a plasmid encoding a zinc finger DNA-binding protein transcription factor designed to upregulate the expression of the gene encoding vascular endothelial growth factor (VEGF-A). Commercial Information: Sangamo acquired Ceregene in 2013. R&D Status: In 2010, Sangamo Biosciences completed a Phase II clinical trial to evaluate their drug, SB-509, in subjects with ALS. The company does not appear to have plans for further developing this drug for ALS. Clinical Trial of SB-509 in Subjects With Amyotrophic Lateral Sclerosis (ALS). ClinicalTrials.gov, 30 Oct 2012. Accessed 11 Mar 2016 from https://clinicaltrials.gov/ct2/show/NCT00748501. Mechanism: SF0034 is a KCNQ2/3-specific channel activator that aims to reduce neuronal hyperexcitability by enabling neurons to return to the resting state upon firing. The drug is a fluorinated-derivative of the FDA-approved epilepsy drug retigabine. Commercial Information: Researchers in the laboratory of Thanos Tzounopoulos at the University of Pittsburgh in Pennsylvania developed SF0034 in hopes to improve the safety and selectivity of retigabine, and thereby reduce its side effects. Potent KCNQ2/3-Specific Channel Activator Suppresses In Vivo Epileptic Activity and Prevents the Development of Tinnitus Kalappa, BI et al. Journal of Neuroscience. 10 June 2015, 35 (23) 8829-8842. Mechanism: SR3306 is an orally bioavailable, aminopyrimidine inhibitor of c-Jun N-terminal kinases (JNKs), a class of mitogen-activated protein kinases (MAPK) that respond to conditions of stress and regulate neuronal survival. The compound is orally available and CNS penetrant according to studies in animal models, as well as protects neurons in two animal models of Parkinson's disease. The mechanism of action is potentially relevant to ALS due to a evidence for link between JNK activation and TDP-43 toxicity. Commercial Information: Opko is developing SR3306 under an exclusive license from the Scripps Research Institute, and preclinical testing is being conducted in Philip LoGrasso's laboratory at the Scripps Research Institute in Jupiter, FL. JNK Inhibition Protects Dopamine Neurons and Provides Behavioral Improvement in a Rat 6-Hydroxydopamine Model of Parkinson’s Disease. Crocker, C et al. ACS Chem Neurosci. 2011 Apr 20;2(4):207-212. The JNK/c-Jun signaling axis contributes to the TDP-43-induced cell death. Suzuki, H, Matsuoka, M. Mol Cell Biochem. 2013 Jan;372(1-2):241-8. Mechanism: SUN11031 is a peptide hormone that is a ghrelin receptor agonist (it is a synthetic form of ghrelin). In preclinical studies in the SOD1 models of ALS, ghrelin attenuated disease progression through orexigenic effects (promoting appetite), as well as by preventing muscle wasting and weight loss via non-oregigenic effects. Commercial Information: In 2015, Asubio Pharmaceuticals merged with Daiichi Sanyo's US subsidiary. Previously, in 2013, Asubio Pharmaceuticals presented preclinical studies on the beneficial effects of ghrelin receptor agonist in ALS mouse models. The program appears to have been discontinued. R&D Status: A Phase II study in Cachexia Associated With Chronic Obstructive Pulmonary Disease (COPD) was completed. Ghrelin attenuates disease progression in a mouse model of amyotrophic lateral sclerosis. Matsuo, T et al. F1000Posters 2014, 5:29 (poster). Accessed 28 Dec 2015 from http://f1000research.com/posters/1094908. SUN11031 in Cachexia Associated With Chronic Obstructive Pulmonary Disease (COPD). ClinicalTrials.gov, 19 Oct 2015. Accessed 11 Mar 2016 from https://clinicaltrials.gov/ct2/show/NCT00698828. Mechanism: EV302 is an inhibitor of monoamine oxidase B, an enzyme that breaks down dopamine, and contributes to production of free radicals and oxidative stress conditions. Commercial Information: The compound was originally licensed to Evotec by Roche in 2006, but in 2011, the two companies entered into an exclusive license agreement to co-develop it for Alzheimer's disease (AD). In July 2015, the companies announced that a Phase IIb trial in AD had failed. Evotec established a collaboration with the Harvard Stem Cell Institute scientists Dr. Kevin Eggan and Dr. Lee Rubin in 2013 to identify drugs that slow motor neuron degeneration in ALS, in a program called CureMN. R&D Status: The company announced in 2015 that the drug failed in a Phase IIb clinical trial in Alzheimer's disease. Roche forced to concede another flop for Alzheimer's program. Carroll, J. FierceBiotech, 1 Jul 2015. Accessed 11 Mar 2016 from http://www.fiercebiotech.com/story/roche-forced-concede-another-flop-alzheimers-program/2015-07-01. Evotec and Harvard Stem Cell Institute form CureMN collaboration to advance ALS research. Evotec, 12 Sep 2013. Accessed 9 Mar 2016 from https://www.evotec.com/article/en/Press-releases/Evotec-and-Harvard-Stem-Cell-Institute-form-CureMN-collaboration-to-advance-ALS-research/2435. Mechanism: TDP-43 abnormally accumulates aggregates in the cytoplasm of the vast majority of ALS patients. In addition, recent studies have shown that TDP-43 activates NFkB, and may increase inflammation via this pathway. This approach, known as TDP-43-associated nuclear factor-kB (NFkB) activation (TANA) inhibitors, aims to reduce neuroinflammation by targeting this pathway. ImStar Therapeutics. Pipeline. ImStar Therapeutics, n.d. Pipeline. Accessed 9 Mar 2016 from http://imstartx.com/pipeline.html. Deregulation of TDP-43 in amyotrophic lateral sclerosis triggers nuclear factor kappaB-mediated pathogenic pathways. Swarup, V et al. J Exp Med. 2011 No 21;208(12):2429-47. Mechanism: TDI-846 (blocking antibody to CD40L) is designed to modulate the immune response associated with disease progression in ALS. Commercial Information: ALSTDI has licensed its CD40L antibody program to Anelixis Therapeutics. ALSTDI is collaborating with Biogen and UCB Pharma on development of a newer version of the anti-CD40L antibody called CDP7657. For full details of the ALS TDI pipeline click here: http://www.alstdi.org/als-research/. From transcriptome analysis to therapeutic anti-CD40L treatment in the SOD1 model of amyotrophic lateral sclerosis. Lincecum JM et al. Nat Genet. 2010 May;42(5):392-9. AntiCD40L (TDI28). ALS Therapy Development Institute, 2016. Accessed 9 Mar 2016 from http://www.alstdi.org/als-research/als-topics/anticd40l/. Mechanism: TW001 is an oral formulation of the free radical scavenger edaravone. Edaravone, marketed under the name Radicut and Radicava, is approved for the treatment of ALS in Japan and South Korea. But this therapy requires frequent intravenous infusions. TW001 is being developed in hopes to provide an option for people with ALS that is easier and more convenient to administer. R&D Status: TW001 was granted orphan drug designation by the FDA and the EMA. In two Phase I studies of TW001 in healthy volunteers and ALS patients, the drugs was safe and well tolerated. A Phase II/III study is planned. Treeway Announces Positive Data From Two Separate Phase I TW001 Clinical Trials. B3Newswire, 10 Dec 2015. Accessed 21 June 2017. Mechanism: TW002 is a gene therapy for ALS, which uses AAV5 vectors to administer glial cell line-derived neurotrophic factor (GDNF) in order to provide neurotrophic support for motor neurons. Commercial Information: Treeway obtained exclusive rights from uniQure to develop AAV5-GDNF for ALS. Treeway is collaborating with the team of Prof. Clive Svendsen, PhD, director of the Cedars-Sinai Board of Governors Regenerative Medicine Institute in Los Angeles, CA to advance the development of TW002 for ALS. Treeway Pipeline. Treeway, 2015. Accessed 11 Mar 2016 from http://www.treeway.nl/pipeline. Treeway to collaborate on developing AAV5-GDNF gene therapy for amyotrophic lateral sclerosis (ALS). FirstWord Pharma, 8 Dec 2015. Accessed 11 March 2016 from http://www.firstwordpharma.com/node/1338949?tsid=33#axzz42fVwf3bf. UniQure exclusively licensed this technology to Treeway, and the companies are collaborating on its development for ALS. PR Newswire, 14 Jan 2015. Accessed 11 Mar 2016 from http://www.prnewswire.com/news-releases/treeway-announces-license-and-collaboration-agreement-with-uniqure-to-develop-a-gene-therapy-for-amyotrophic-lateral-sclerosis-als-288529301.html. Mechanism: TW003 is a vaccine therapy to restore immune balance by targeting the adaptive immune response in ALS. The drug incorporates a patented viral gene delivery platform called SVac. SVac is reported as a safe, highly efficient and nonimmunogenic vector platform. Commercial Information: The project is being conducted in collaboration with Amarna Therapeutics. Mechanism: TW004 is a combination therapy to restore immune balance. Mechanism: Talampanel is a selective non-competitive antagonist of AMPA receptors, a type of glutamate receptor. Talampanel was tested as a drug to reduce neuronal death due to glutamate excitotoxicity. R&D Status: A Phase II trial in ALS was completed in 2010, but no efficacy measure reached statistical significance in treated vs. control patients, at two different doses tested. The program was discontinued. Talampanel for Amyotrophic Lateral Sclerosis (ALS). ClinicalTrials.gov, 20 Oct 2011. Accessed 11 Mar 2016 from https://clinicaltrials.gov/ct2/show/NCT00696332. A phase II trial of talampanel in subjects with amyotrophic lateral sclerosis. Pascuzzi, RM et al. Amyotroph Lateral Scler. 2010 May 3;11(3):266-71. Mechanism: Tirasemtiv is a fast skeletal muscle troponin activator (FSTA) that increases the force of contraction by boosting the sensitivity of troponin to calcium. Commercial Information: Intolerability of tirasemtiv experienced by many people with ALS may have interfered with the analysis. Cytokinetics, in partnership with Astellas Pharma, is now testing a new FSTA, CK-107, which is unable to cross the blood brain barrier, in hopes to improve tolerability of this approach. R&D Status: A Phase IIb clinical trial in ALS in 2014 found mixed results: no statistically significant difference was detected between ALSFRS-R scores between treated and untreated groups, however, a statistically significant improvement in Slow Vital Capacity (SVC) in treated patients was observed. These findings led to the initiation of a Phase III trial, which found that drug provided no benefit, resulting in the drug to be discontinued. VITALITY-ALS, a phase III trial of tirasemtiv, a selective fast skeletal muscle troponin activator, as a potential treatment for patients with amyotrophic lateral sclerosis: study design and baseline characteristics. Andrews, J. et al. Amyotroph Lateral Scler Frontotemporal Degener. 2018 Feb 6:1-8. doi: 10.1080/21678421.2018.1426770. A randomized, placebo-controlled, double-blind phase IIb trial evaluating the safety and efficacy of tirasemtiv in patients with amyotrophic lateral sclerosis. Shefner, JM et al. Amyotroph Lateral Scler Frontotemporal Degener. Jul-Aug;17(5-6):426-35. A study to evaluate safety and tolerability of repeated doses of tirasemtiv in patients with amyotrophic lateral sclerosis. Shefner, JM et al. Amyotroph Lateral Scler Frontotemporal Degener. 2013 Dec;14(7-8):574-81. Ventilatory Investigation of Tirasemtiv and Assessment of Longitudinal Indices After Treatment for a Year (VITALITY-ALS). ClinicalTrials.gov, 8 Mar 2016. Accessed 9 Mar 2016 from https://clinicaltrials.gov/ct2/show/NCT02496767. Fast skeletal muscle troponin activator tirasemtiv increases muscle function and performance in the B6SJL-SOD1G93A ALS mouse model. Hwee, DT. PLoS One. 2014 May 7;9(5):e96921. Mechanism: Tocilizumab may reduce neuroinflammation by lowering levels of the pro-inflammatory cytokine IL-6. The drug, which is a monoclonal antibody, competitively inhibits the binding of interleukin-6 (IL-6) to its receptor. R&D Status: A phase II clinical trial is ongoing. Fiala, M. et al. Tocilizumab infusion therapy normalizes inflammation in sporadic ALS patients. Am J Neurodegener Dis. 2013 Jun 21;2(2):129-39. Mechanism: In collaboration with Biogen, the company developed novel inhibitors of Usp14, a deubiquitinating enzyme, to enhance clearance of aggregation-prone proteins such as alpha synuclein and tau. Inhibition of Usp14 promotes clearance of TDP-43 by retaining ubiquiting chains, suggesting this could be a promising therapeutic approach in ALS. However, Amgen recently reported that the company could not reproduce these published results. The status of this approach is unknown. Commercial Information: Proteostasis Therapeutics developed inhibitors of Usp14 in partnership with Biogen with technology licensed from Harvard University. This partnership ended in December 2016. The Usp14 technology was originally developed at Harvard Medical School by Professors Daniel Finley, Ph.D., and Randall King, Ph.D., M.D. Enhancement of proteasome activity by a small-molecule inhibitor of USP14. Lee, BH et al. Nature. 2010;467:179–184. If you fail to reproduce another scientist’s results, this journal wants to know. Kaiser, J. Science, 4 Feb 2016. Accessed 11 Mar 2016 from http://www.sciencemag.org/news/2016/02/if-you-fail-reproduce-another-scientist-s-results-journal-wants-know. Proteostasis Therapeutics Announces Collaboration with Biogen Idec for Research, Development and Commercialization of Therapies for Neurodegenerative Diseases. Harvard Office of Technology Development. 27 Feb 2016. Accessed 11 Mar 2016 from http://otd.harvard.edu/news-events/proteostasis-therapeutics-announces-collaboration-with-biogen-idec-for-rese/. Mechanism: VM202 uses a pCK vector to deliver hepatocyte growth factor to muscles. The gene therapy strategy aims to stimulate angiogenesis (to provide neuronal trophic support) and the regeneration of damaged peripheral nerve axons. Commercial Information: The US subsidiary of ViroMed is known as VM Pharma. Sufit, RL et al. Open Label Study to Assess the Safety of VM202 in Subjects with Amyotrophic Lateral Sclerosis Amyotroph Lateral Scler Frontotemporal Degener. 2017 Feb 6:1-10. Mechanism: VY-SOD101 is an adeno-associated viral (AAV)-based gene therapy that aims to slow progression of SOD1 ALS by reducing levels of ALS-linked mutant SOD1. SOD1 mutations account for approximately 20% of familial forms of ALS. Commercial Information: REGENXBIO licensed their Next Generation AAV (NAV) technology to Voyager Therapeutics for ALS and other rare indications. The gene therapy approach was originally developed in the laboratory of Professor James Wilson, M.D., Ph.D. at the University of Pennsylvania Perelman School of Medicine in Philadelphia, PA.
R&D Status: Voyager Therapeutics is targeting an IND filing for VY-SOD101 in late 2017. Voyager Therapeutics Highlights Programs in Parkinson’s Disease and ALS; Announces Expansion of CNS Pipeline at R&D Day. Globe Newswire. April 29, 2016. Mechanism: XN-001 is a small molecule synthetic derivative of the natural brain metabolite Lanthionine Ketimine (LK). It targets collapsin response mediator protein (CRMP2). XN-001 has shown promising results in mouse models of Alzheimer's disease and ALS. Commercial Information: The technology was licensed from Oklahoma Medical Research Foundation. XoNovo Ltd. was founded by Dr. Rafi Gidron, the founder and chairman of Israel Brain Technologies and by Professor Kenneth Hensley from Toledo University in Ohio. The company is based on Hensley's work on lanthionine ketimine. Emerging Biological Importance of Central Nervous System Lanthionines. Hensley K. Molecules. 2010;15: 5581-5594. Novel Alzheimer's disease (AD) drug to be developed by Xonovo Inc. FierceBiotech Research, 15 Oct 2013. Accessed 11 Mar 2016 from http://www.fiercebiotechresearch.com/press-releases/novel-alzheimers-disease-ad-drug-be-developed-xonovo-inc.
 J&J, Takeda team up to open Israeli biotech incubator. Shamah, D. Times of Israel, 19 Jan 2015. Accessed 11 Mar 2016 from http://www.timesofisrael.com/jj-takeda-team-up-to-open-israeli-biotech-incubator.